Yay! Proud owners of a 2006 Toyota Corolla! Yes, its used, but it’s in great condition and runs well. 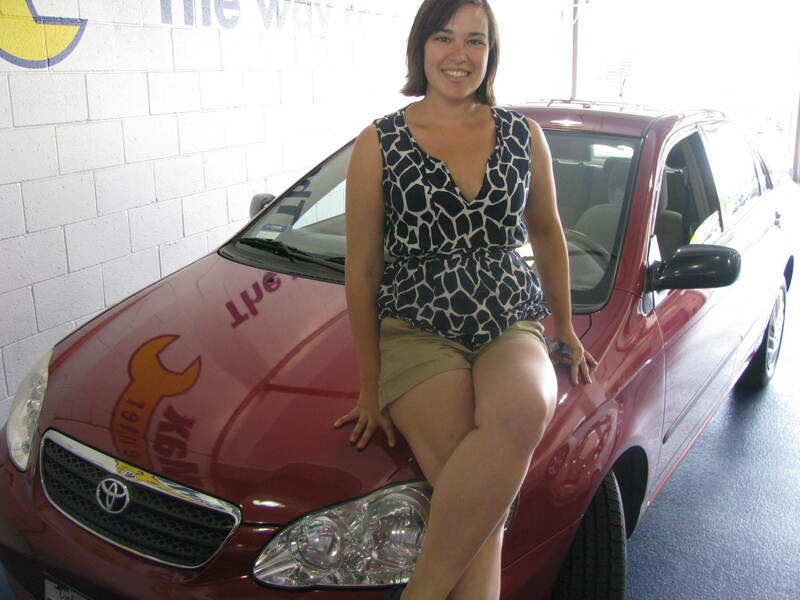 I went to carmax and it was super easy to get my car. Literally, test drove it and decided I liked it and drove it off the lot. I also went to Target and got a beach chair and stocked up on cat food. Bonus of having a car is that I can buy 24 cans of food at one time. The I drove home on the 101 to the 405 (I went 70, I felt like a 16 year old). 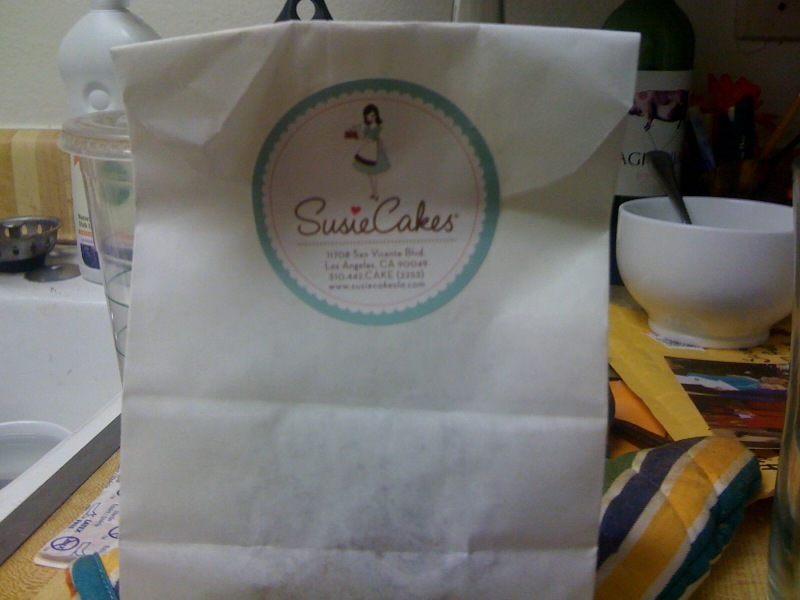 I got off the freeway and drove directly to Susie Cakes. Yum! I went on a run (which was something I hadn’t done for several days between finals and being hung over from celebrating finals). 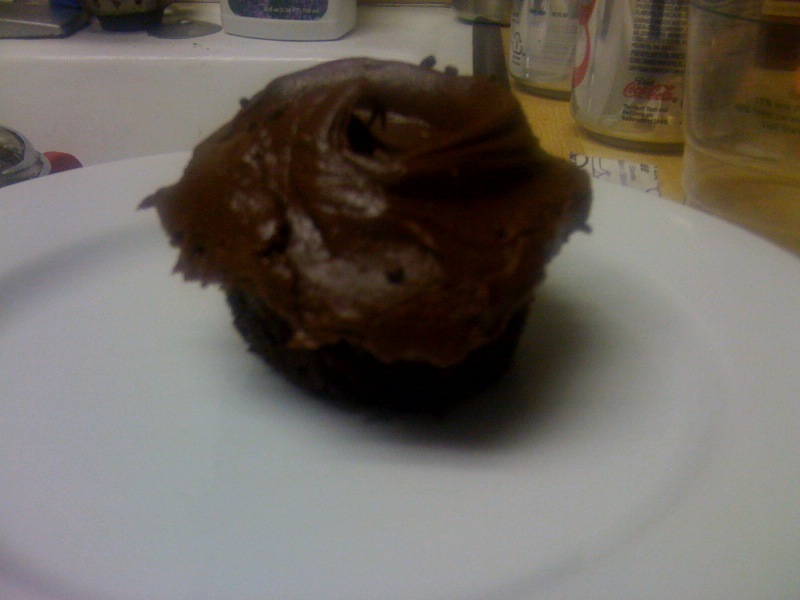 Then I enjoyed my cupcake. I got Mocha this time and it was really good. Super moist, but not as moist as the pineapple upside down cupcake. Today I have a busy day planned: reading the New York Times, going to the library and donation yoga. I cannot wait to drive all over the city! This means great things for Left Coast Contessa!